Mote Marine Lab scientists and volunteers restore staghorn corals. (MIAMI, Florida) Sept. 12, 2016 - Mote Marine Laboratory and The Nature Conservancy are partnering on a coral conservation initiative that will enable coral restoration at unprecedented scales throughout the Caribbean and the Florida Keys. The collaboration officially began this evening, Sept. 12, 2016, in Miami, with the signing of a one-year memorandum of understanding (MOU), enabling the first steps in a proposed 15-year initiative of joint coral reef restoration and conservation efforts. The goals of the initiative are to restore more than one million corals across the region’s reefs, share science-based coral restoration and conservation practices among U.S. and international Caribbean partners, and construct necessary facilities such as coral gene banks, which preserve genetically diverse coral tissue and help researchers find strains resilient to environmental change. The Sept. 12 MOU will officially launch one year of planning and preparation, which will include growing 50,000 coral fragments. Mote — an independent, nonprofit marine science and education institution of five campuses from Sarasota, Florida to the Florida Keys that conducts diverse research programs around the world — has developed innovative technologies to grow staghorn, brain, boulder and star coral fragments and planted approximately 20,000 of them onto depleted reefs in the Florida Keys. In early 2017 Mote plans to open a new coral reef research and education facility at its Summerland Key campus, where Mote scientists have already pioneered groundbreaking methods to restore reef-building corals at accelerated rates and begun to genetically identify staghorn coral strains for potential resilience against threats. The Nature Conservancy is an international conservation organization working to protect the lands and waters on which all life depends. 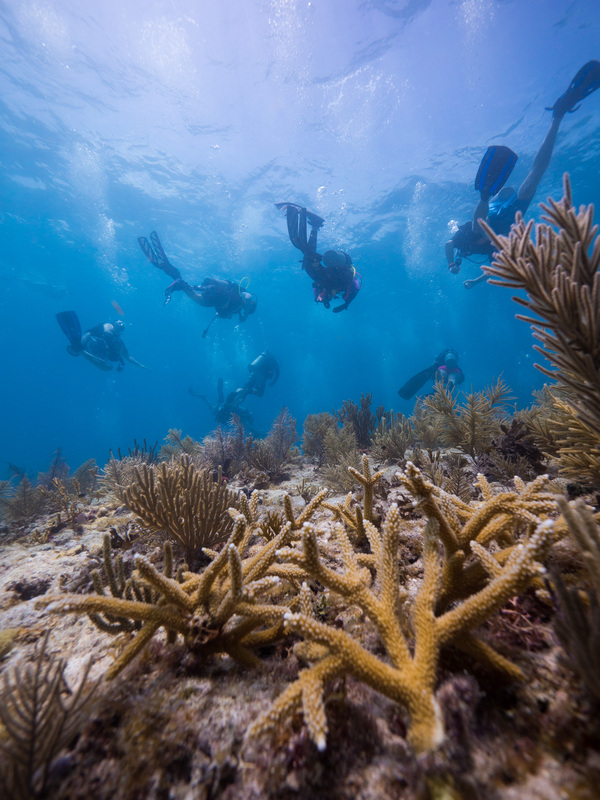 Throughout the Caribbean and Florida, the Conservancy has worked with their partners to advance science-based conservation actions that include establishing coral nurseries and planting over 15,000 coral colonies from the nurseries onto reefs over the past 12 years in the Florida Keys, Dry Tortugas and U.S. Virgin Islands. These coral nurseries span from the Florida Keys all the way down to Grenada and are part of the largest restoration project of its kind. By combining forces, two of the world’s foremost independent marine research and conservation organizations will launch an innovative, international coral reef restoration initiative, giving Caribbean and Florida Keys coral reefs a better chance to survive and deliver ecological and economic benefits to future generations. Now through September 2017: The one-year MOU will help Mote and Conservancy staff secure additional coral restoration permits, plan their reef restoration initiative for the coming years, fundraise collaboratively and grow approximately 50,000 fragments of various coral species at Mote’s facilities in the Florida Keys and the Conservancy’s facilities in the U.S. Virgin Islands. Partners will focus on selecting coral strains resilient to increasing water temperatures, ocean acidification and disease. In early 2017, Mote will enhance these efforts by opening its new coral reef research facility on Summerland Key. By 2020: A networked coral gene bank of threatened Caribbean and Florida coral species will be established and accumulate genetically identified coral tissue samples as “insurance” against climate change and near-term catastrophic events for reefs, such as widespread bleaching, diseases and oil spills. Efforts will include enhancing or expanding coral nurseries and adding gene banks to Mote and Conservancy facilities in Florida and the U.S. Virgin Islands, respectively. Mote and Conservancy staff will forge and advance international partnerships for upcoming coral restoration in priority locations including Cuba and the Bahamas. 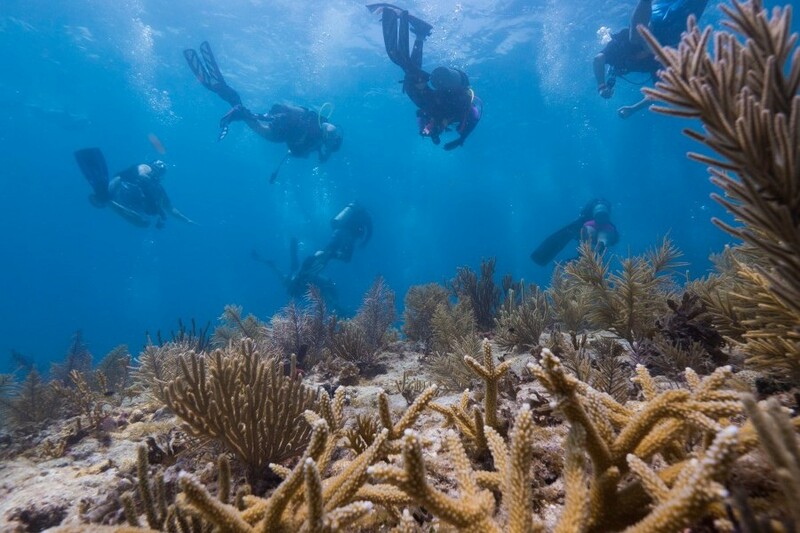 By 2025: Mote and Conservancy staff plan to work with U.S. and international partners to restore corals at unprecedented rates for the Caribbean and the Florida Keys. Goals include planting one million coral fragments in the U.S. Virgin Islands and the Florida Keys and 500,000 in at least three other Caribbean nations. The partners aim to establish a new, permanent coral restoration facility in St. Croix to be jointly operated by Conservancy and Mote staff. They will also complete training of key local personnel working at U.S. and international coral restoration areas, and in the process, disseminate state-of-the-art coral science, conservation and restoration practices around the Caribbean.